"Good Assessment for candidate "
"Impeccable Screening and Precisely to the point Reports"
A bit too many features and though I haven't explored them all yet, I'll suggest that they can include instructions in a better format. There is a scope for an improvement in that area. Everything else looked perfect to me. Online screening helps us a lot. In reducing time, costs and most importantly, the administrative hassle that are involved in the whole process. You can surely rely on Interview Mocha and their support guys. We moved from pen paper test to online testing. And after evaluating many platforms, we settled for Interview Mocha. It was a good decision we made. Our screening time and costs have reduced to a great extent. Before, we had to take follow ups of candidates manually, had to arrange and re-arrange for the written tests and a lot more. It was so tiring with many ifs and buts. But now, we just need to send invites, set the auto follow instructions and ta-da! It’s done. No more hassles, no manual work. The reports are detailed, very helpful in decision making. "First foray into technical/aptitude skills testing a great success!" The UI and layout of Interview Mocha is very user-friendly from both a candidate and recruiter perspective. The customisable tests mean that you can develop bespoke assessments which relate closely to your key skills, but the Interview Mocha team have also worked very closely with us to develop these also. Finally, the reporting that is available is excellent too, allowing us to drill down into specific areas/questions on each candidate, as well as to assess candidate feedback on different tests. Initially, the library of tests was very focused on the IT/Development sector so there weren't many tests related to our field (Engineering). That said, the team at IM have worked closely with us to create these and conduct thorough research when creating new questions. Interview Mocha gives us yet another method to properly assess our candidate's technical abilities and is a great compliment to our interview process. We have noticed an improvement in our quality of higher and allowed our interviews to be tailored specifically to the results, which mean both the candidate and TGW get more out of the process. "Fantastic Assessment Solution for pre-employment"
The basic set of questions for almost every skill to asses pre-employees and for recruiters to learn. Time saving and detailed results for every section to judge candidates. The user interface is somewhat complicated for new users, it can be made more simple to use. A must use product to evaluate great bunch of candidates without giving your precious time every time but once. The quality of questions is very basic as well as very competitive based on your evaluation for candidates. Time saving every time. Results are detailed and very easy to judge. They also have trial/evaluation period for you to take your time in using and taking your decision to purchase their premium version. A little complicated for new user but you learn a lot from it. Once you start using then it gets pretty handy. Sometimes it's difficult to take assessment on phone call but not with Interview Mocha.I mostly work on the niche IT skills with most of the fortune 100 companies. One can send the online assessment to interested candidates and easily qualify them on skills and knowledge. "Interview Mocha - a good attempt with flawed question bank"
I like the engine itself, the possibility to create your own custom questions and thus create custom tests. Many of the question bank questions are flawed and faulty. Some are outright incorrect, that is, correct answer is marked as incorrect and incorrect as correct. Besides that, some questions contain bad English grammar with spelling mistakes and faulty use of pronoun references. Also, the engine is quite cruel; with multi-choice questions it would be better if each correct answer could be 1 point, not answering could give 0 points and an incorrect answer e.g. -1.5 points. Now it can be that when you know 4/5 of the alternatives you still get 0 points because one was incorrect! That's not very fair. It's worth trying, but you cannot fully trust the question bank questions. Currently just assessments, but maybe in the future that could be used for interviews / recruiting. But at the moment I cannot trust that e.g. the Java / JEE / Spring / Hibernate / Web services questions from the question bank are correct. "Good experience for filtering a large number of Candidate"
I would suggest to add more things on reporting. for Eg: The PDF exports only show the marks obtained in particular sections and passing percentage with strength and weakness. If i want to get question details, i need to export as an excel for that particular candidate. I would suggest if you can merge these two reports and come up with one with all features. "Wonderful Site for Screening Candidates"
Easy test creation and screen people. All kinds of skill available to screen candidates. Easy UI and user-friendly website. Evaluation made easier to qualify candidate. Results are very descriptive and include much details. Sometimes the time given to candidates is not as enough as they require to answer a specific question. UI can be made more easy for the first time users. I would strongly recommend it to everyone and every recruiting firm to evaluate candidates based on their skills and knowledge. Screen candidates on a daily basis. Qualify their knowledge and skills based upon the test. Evaluate them and then proceeding forward with them. "Software concept is good but it requires further development to become professional"
I like that system is a cloud-based tool, which allows different users to develop and share tests. The system has good security features which help to check if people doing the test are not using the side help. Looks like the system has some functionality offered, which is not completed. I believe all new functions should be properly tested before they are released. We will use the system to build our own tests and apply them in the recruitment process. The system should really help us track test results and compare candidates. Thanks for leaving a review, and you’re right, there were a few glitches with a couple of features. We try our best to deliver a flawless product, however, we regret that we missed the mark here. That said, we have resolved the issue and its working fine now. "New user - first impressions"
Once we'd done our onboarding session, the platform was easy to use. I appreciated the time that Anu spent in pointing us to the newest and best tests on the platform for the types of roles we were recruiting for. I've shown the platform to some colleagues and they're impressed with the clear nature of the questions, the impartiality of the reports, and the proctoring features. Currently the system says we can't use video proctoring with IE10 – which is the default browser that we use at our organisation – but that is our problem not yours! Separately, Anu and I picked up a couple of issues with the proctoring warnings during our onboarding, but we agreed that these are not the end of the world, and Anu said they were in backlog for fixing soon anyway. We're looking to test internal and external candidates to ensure they have the skills they claim they do. We haven't yet completed the tests so we don't know whether they will save us time and give us the impartial results we need, but we hope that they will replace the long process of designing questions and marking schemes that we've had to use in the past. "A must-have tool for candidate testing"
It has given us wide range of tests to choose from. We were also able to get custom made tests as and when required. I strongly recommend this tool for candidate filtration. My hiring time has drastically reduced as now I spend time only on quality candidates which have been shortlisted with the help of this tool. It is very convenient to share test link to hundreds of candidates. And the results have really helped us to take quick decision on whether to shortlist the candidate for further process or not. Ensure that you take the opportunity to do the onboarding run through with the team as this is invaluable in learning how to use all the functions of interview Mocha as well as the general administration of the platform. Allows us to effectively test the technical skills of candidates for niche roles without having to take up interviewers time. Thank you for your kind note. We so appreciate you taking the time to share your on-boarding experience. "Assessments for literally EVERYTHING! " The team at interview mocha is very hands on, they are easy to work with and get things done very timely. Aditya and Roshan are the team members I have dealt with and they always give a great client experience. If you have a job role that they don't currently have an assessment for you just send them your job description and they make one for it using subject matter experts. You can also edit the skills you need tested in the assessments you have on your profile. Its a great way to weed out candidates that may not have the skills needed for the position. Nothing that I can currently think of but if they needed to add anything it would be less multiple choice. We are really got interested in the Interview Mocha product line when we were trying to come up with testing mechanics in remote locations but wanted to insure that they were talking the test honestly and not looking up answers or getting additional help. Interview Mocha is able to handle all of that with their assessments. "Great tool for validating IT candidates"
With the continued issue of vetting candidates and not wanting to overburden interview panel time, we were looking for a tool that would give us a non biased but vetted assessment. IM is very easy to set up and implement. We are able to validate the candidates quickly and for a low cost. The savings in manhours alone is worth it and the continuus improvement of the platform is refreshing. Overall the system is good, but for a larger organization with multiple users, the "ownership' of the tests and sharing can be cumbersome. Highly recommend IM as a screening tool to give a valid baseline and overall validation of candidates. We solved the issue of vallidation of candidates from the beginning and not wasting interviewers time on invalid candidates. The benefit of moving only valid candidates forward to telephonic or in person interviews is a tremendous plus! "Useful tool for a Productive Recruitment"
"Fantastic assesment site with more complete inventory of testing subjects than competitors"
Large inventory of pre-made tests with a great assortment of niche and drilled down high skill IT topics. I work in high skill IT staffing and work with many fortune 500 companies to make placements. It is extremely critical that someone can not only "talk the talk" but truly "walk the walk" so as to not place someone in a role to have the crash and burn. I use Interview Mocha as part of my initial interviewing to verify that candidates truly have the skills and knowledge they purport to know. "Great System and Great Support"
The initial training was lacking a bit but we resolved that quickly. You need to give them a month to get everyone one your team trained up and understand the tool. If you give that ramp up time you will be happy you did. The support you receive as you learn the tool is unparalleled to what I have received elsewhere! We needed to test our consultants before sending them to our client and Interview Mocha had everything we needed to do this. Interview Mocha provides us with a way of evaluating the future and actual employees. What we like about this tool is that they help us with every evaluation needed even if it´s not in the system they help us create personalized evaluations for every job description we have in the company. There are some evaluations that we have had to make in the company that Interview Mocha doesn´t have in the system, but we have sent them the job descriptions of the positions we are evaluating and after a couple of days they send us the personalized evaluations. We are evaluating current employees based on the activities they perform and we have been sending these evaluations to our clients so they can see the expertise level of our employees. "Good platform to screen candidates by programming skills"
The scoring methodology and test cases can be improved. A mechanism to see check if code is copied would be good. We are screening good candidates by their programming skills. This platform has really helped in better utilization of our interview panel's efforts and time. Since the platform takes care of code evaluation and scoring based on test cases, the effort from our panel to evaluate the code is dramatically reduced. "Definitely one of the best initial screening tool"
UI and reports. Reports include detailed reviews of the user going through test. Provides Image proctoring. Niche skill sets are yet to be added into database. Initial screening with basic understanding about the skills , helps saving time and easier way to analyze based on multiple skills. The questions database is large in number & levels of difficulty helps in evaluating the candidates at every level. Scope of improvement is there in coding questions. We are using interview mocha in evaluating candidates on technical front which is beneficial for hiring the right candidate. 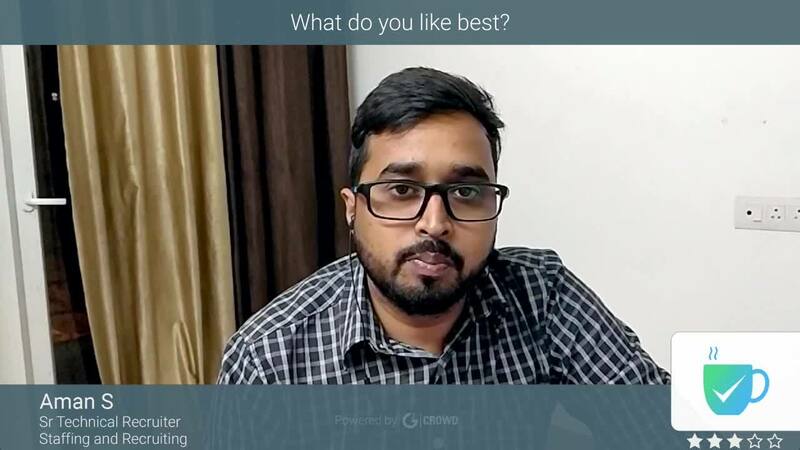 "Excellent platform for online screening and best this is, its super easy to use "
InterviewMocha has helped us in screening thousands of candidates. The best part of the platform us its very easy to use and has a rich set of questions for different industries. Strongly Recommended. There is nothing as such which i dislike about this product. Hello, I strongly recommend InterviewMocha. I like the best thing about IntervieMocha is -its easy to use. If you want to have a platform for online screening, go for InterviewMocha. Screening thousands of candidates was time-consuming and with the help of InterviewMocha, we are able to screen in less time. The benefit of InterviewMocha is its simple to use to our team also and candidates also. So got benefits of maximum participation of candidates in the screening process. "Great product - all in one place for your recruitment process"
"A must have tool for Talent Management and Talent Assessment. " Interview Mocha offers a wide range of Assessments which is extremely reliable when it comes to Talent Assessment. The user interface is very friendly which enables smooth functioning of the assessments which can be conducted on a large scale within or outside the organization. It's an extremely useful and well made tool. It has become easy for us to regularly assess and improve the technical capabilities of our Associates. Ease to work with & good tool for screening test. Coding results are not up to the mark as rated by technical panels. Coding platform needs to raise the bar as compared to other coding platforms available in the market. The screening test helps eliminate the unwanted candidates from the interview process. Saves a lot of billable hours of the interview panel & helps to increase the hit ratio. Test & combinations of skills you can make for evaluate a candidate. There are diferent premium plans, I think you should have everything in one. Not haveing trechnical people available to evalute candidates is not a problem anymore, even if you have they can just focus on their task and candidates can take the evaluation after office. Chat helpline representatives are very genuine and quick in help. Nothing specific, as the UI is also good and the question content is also good. Good platform, with multiple and latest technology skills available that are required by Software companies. Filtering our candidates with aptitude and technical skills. The platform has helped us in reducing our time in conducting technical interviews. "Awesome experience with Interview Mocha"
Quick and easy way to send the assessments. User Interface is little bit confusing. If you need to send the tests more frequently and don't want to spend more than 5 minutes in the process-Interview Mocha is for you. Earlier (with different Test Platform) there were too many steps and most of manual work but now we can send the test in literally one step. "It is really good to use interview mocha to take interviews"
Everything, great platform, excellent service. Really enjoy working with the team. There is nothing I can think of, Interview Mocha is wonderful. "Good overview over the applicants tests for the interview"
i am able to see all the technologies and test in different critical level. i am unable to take same test more than once. "We have extensively used Interview Mocha for shortlisting candidates for recruitment"
The Interview Mocha support team were very Pro-active and helpful. They are always willing to take up any enhancements and take complete ownership till implementing the changes. There is no dislike. Really enjoyed working with the team. Very user friendly. Great customer support. Shortlisting of candidates for recruiement. skill evaluation of Internal Technical team. It has really helped in eliminating sub standard candidates for recruitment and also has helped a lot for the internal teams to keep themselves upgraded. "It is very useful for the technical recruiters to do preliminary screening of candidates ability"
The questionnaire seems to be unique, tough and one cannot simply clear unless he has real technical potential. the Image protection option is very useful. Average score for clearing the test is high which can be reduced. "Fast-built set of quiestions, used for interview filtering "
The questions are well above the standards of the industry. Multiple versions of the tool to be made available. IM covers majority of the domains and technical evaluations suitable to the employer's expectations. Internal candidates evaluation and screening of the external hire. "Quite pleased with the experience and support"
Support and regular enhancements, new tests are added on a regular basis. Quality of questions can be further improved. I see for many tests the level of questions isnt upto the mark. Interview Mocha have great UI. We can easily access reports. We have not found anything yet. It enhances the skill set if done seriously. Nothing till date. I have used and found it as per industry standards. "Best portal to use for time saving purpose in selection process "
It is very easy to use for a non-technical person too. The team is always there to help you, even on weekends. The question bank helps us save more time. It is user friendly. Everything is available at your fingertip. Why other companies don't use this, when its a helping tool. Time saving tool in recruitment process. "Very convenient and resourceful "
"A great candidate filtration tool for coding skill"
They provide coding tests in many languages and for various job roles. Coding tests are catagerized based on their difficulty levels. The platform is very great. There is nothing to dislike. The coding tests helped us to find out candidates who really have practical coding skills and also helped our technical panel in shortlisting process. "Overall happy with the positive experience with Interview Mocha"
Their ability to customize the requirements as per the client and very approachable and friendly towards the needs of the client. Overall nice team to work with for Technical skills assessment. Technical skills are getting evaluated at a faster speed. "Excellent tool for candidate assessment "
The question Bank covers most of our requirements related to recruitment process and user friendly and easily configurable as per requirements. Tool allows to add your own questions and configuration options to select the questions for each test type. 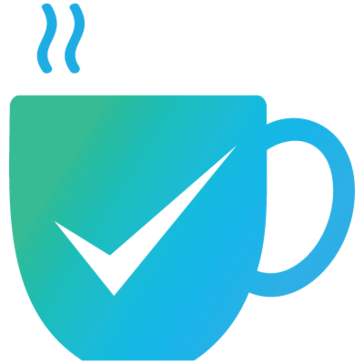 "A Must Recommended Assessment Tool for Students and Professionals"
Easy Access, scheduling and tracking is good thing and other is with enablement of Webex Camera, Mocha Protracting is another good thing. Training after Assessment, it can avoid the copying as if the other tab is opened, exam will get detained automatically. Love that Mocha makes un recruiting process faster. No need to create tests from cero. Tests are hard for candidates whose first language is not english. Could use more common words which every candidate with English knowledge can comprehend. The way it makes constructing interview exams easily with quality and time management. We use it in our recruitment process to find the best talent. We have been associated with InterviewMocha for almost 3 yrs now and its has fruitfully facilitated our fresher and lateral hiring process. Extremely result oriented and versatile tests!!! "Excellent Tool to filter the candidates in the first go"
Flexible and easy to use>>>>>>>>>>>>>>>>>>>>>>>>>>>>>>>>>>>..
* We monitor all Interview Mocha reviews to prevent fraudulent reviews and keep review quality high. We do not post reviews by company employees or direct competitors. Validated reviews require the user to submit a screenshot of the product containing their user ID, in order to verify a user is an actual user of the product. Hi there! Are you looking to implement a solution like Interview Mocha?